Relocation – whether working with corporate relo companies, or selling your home here to be closer to the grandchildren, we can help! Our clients have moved to San Diego and Northampton, moved here from Chicago and New Jersey, arrived from Canada, Central and bought a Berkeley pied-à-terre to use on their trips from Australia. We’ll personally represent you in your sale or purchase here, and personally know excellent Realtors in each of the communities who will take wonderful care of you too! Just ask us to refer you! Just as Michael and Andrea said, relocation transactions require more paperwork, reviews, delays and attention. We’ll handle it all for you! Two head are better than one, and their work personalities compliment each other. They have vast experience with relocation (the most difficult of transactions!). They have a good balance of technology and personal touch. They always answered the phone or called right back. Oh, and Carol bought me muffins for my trip to the airport knowing I did not have time to stop and was a very typically hungry pregnant person! As we approach our fIrst anniversary in our new home, we wanted to take a moment to thank you for your assistance in helping us fInd and purchase our house. As newcomers to the Bay Area, we really appreciated your use of daily e-mail updates on what was coming on the market in the Berkeley/Oakland area that fIt our criteria. These updates allowed us to quickly come up to speed on the kind of competitive market we were dealing with. We were also able to review these updates from the East Coast and decide when to fly west to check out some of the listings and even make bids. In particular, Ira impressed me with his knowledge of the Berkeley real estate market in terms of both availability and pricing. 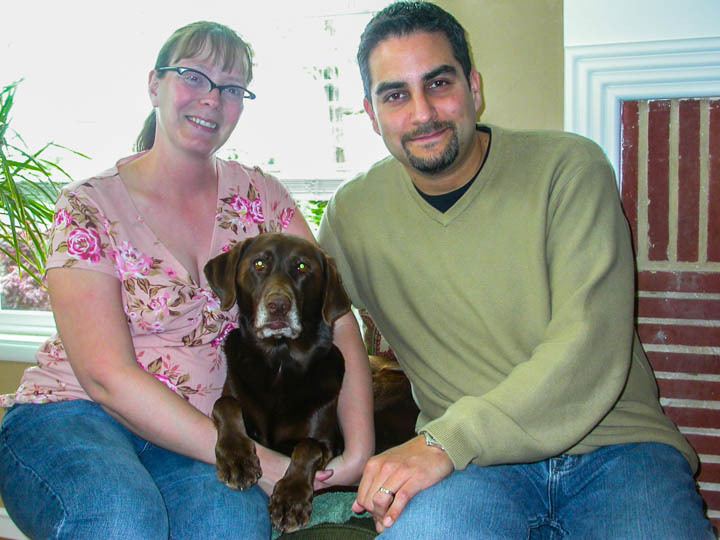 Carol then proceeded to quickly find us a home in a location that met all of our needs and desires. Ira wisely advised us regarding the purchase negotiations for a property that had significant interest. Two years later, we rehired Ira and Carol to sell our home. In a much more difficult market, Ira gave us honest advice that, while not necessarily what we wanted to hear, was realistic given the times and certainly facilitated the sale. Carol’s advice regarding preparing the home for sale was especially valuable. Furthermore, because we had to relocate, Ira and Carol took care of many things that a seller still living in the home would normally have done. One thing that attracted me to Ira and Carol was that, from the beginning, I always felt that they were putting our interests above their own. They were as interested in making us happy as they were in making a sale. This has not always been our experience in other real estate transactions. Ultimately, Ira and Carol went far beyond our expectations. We were relocating to Massachusetts, an area with which we were unfamiliar. Ira did not know any agents there, but he researched the real estate agents and introduced us to an agent whose service to us in Massachusetts was the equal of Ira’s and Carol’s in California. This is a letter certifying the stellar job done by Ira and Carol Serkes in locating my new home in Berkeley. Notwithstanding the logistical challenges of working with one from Singapore, Ira and Carol did extensive research, were extremely courteous and professional, and showed homes that always fit the criteria articulated to them. They utilized the latest web enabled communications and visual tools allowing for efficient pre-selection. I would most unequivocally recommend Ira and Carol to anyone buying a home in the Bay Area. They truly are a delightful team to work with. I want to thank you for the wonderful job you did in helping us buy the right home in Berkeley. House hunting is difficult in the best of circumstances, but it can be overwhelming when trying to do it from another state as we did coming from Colorado. We appreciated your availability when we would fly in on short notice and your patience with the numerous difficulties we encountered in our various offers. We particularly appreciated the extra distance you went to make the transition as smooth as possible for our cats and dog. If we decided to move again in the Berkeley area, we will definitively call on you. This was my second attempt at trying to sell – it had languished on the market six months the year before. It clearly was not going to be an easy sell, and trying to sell it from 2,000 miles away only made the process more difficult. Within three weeks of the listing you had an offer! You accomplished what I had begun to think was impossible. Your hands on approach made the last minute glitches and surprises (such as unexpected repairs) nearly transparent. You even came up with a creative way to close the sale in the event that the repair work was not done. My only regret is that I didn’t use you the first time I put my property on the market. I probably would have saved considerable time, aggravation and money. I will gladly serve as a reference for future clients, and only wish that I were still in Berkeley so that I could use you for my next purchase. Even before we moved cross country, we were tapping into your area expertise through the website. When we called long distance, you graciously answered our questions and offered us resources. The actual buying process took some time and education, which you offered with patience. We especially appreciated your willingness to go along with some of our more unorthodox approaches. But best of all, you and Carol made what could have been a stressful and difficult process, an enjoyable and ultimately rewarding event, landing us in the exact home and neighborhood we wanted. When we were relocating to the Bay Area, we came from a position of relative ignorance. Ira Serkes’ berkeleyhomes.com easily stood out from the pack of realtor web sites. It gave us a depth of insight into the Berkeley area that got us started on our neighborhood selection even before we had physically arrived here. And we really appreciated that you recognized and respected our single-minded objective in purchasing a home in the Rockridge / Elmwood neighborhood. Carol was 100% right about the location of our house: it could not be improved. With our proximity to BART and College Avenue, everything we want is truly within walking distance. Ira recently sold a house that sadly, required refurbishing before the sale. This took place while my wife and I were on a one month bike ride in Europe! The refurbishing and the sale went forward without a hitch, with an offer substantially above the listing price. From listing to offer acceptance was less than two weeks. Ira’s analytical skills are evident, and his wife Carol complements him. As a team, they are awesome, and made the sale process as stress free as possible. I would recommend them to anybody. You’ll profit from our extensive relocation expertise!